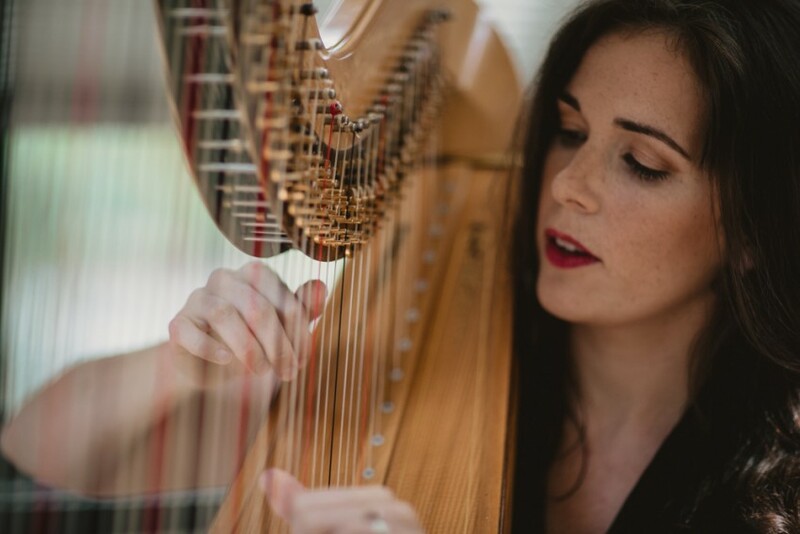 Leigh Stringfellow is principal harpist for the Durham Symphony and performs regularly for weddings & special events throughout the Triangle. For over 15 years, Leigh has enjoyed playing for weddings and other special events. In North Carolina, she plays regularly at the Umstead Hotel & Spa, Bella Collina Mansion, Castle McCulloch, Raleigh Arboretum, Snipes Farm Retreat and countless other venues for weddings & receptions. For wedding ceremonies, Leigh can perform with vocalists, strings, winds or keyboard and is happy to perform the traditional wedding repertoire or play special selections hand picked by the bride and groom. Leigh was wonderful throughout the planning process and at our wedding ceremony. She played beautifully, and I have already gotten lots of positive feedback from guests about the harpist! She was flexible and kindly adjusted to my indecisiveness as well as tardiness to the ceremony. Leigh is a beautiful, kind and warm presence and I highly recommend her. Leigh Stringfellow played beautifully and worked with us to accommodate the type and style of music we wanted for the Memorial Service. We were looking for something unconventional and Leigh selected music that fit perfectly. Everyone enjoyed the music and commented on how beautiful it was. Leigh's music was a beatuful part of my wedding. She did a great job with the pieces of music we requested. 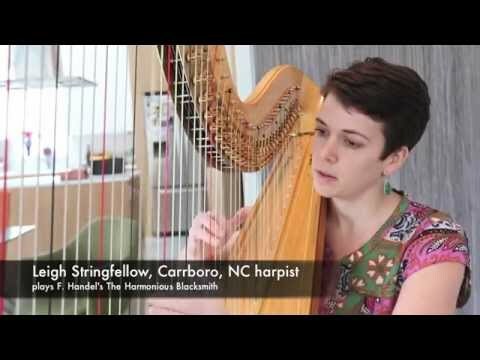 Leigh Stringfellow enjoys a multi-faceted career as a harpist. She performs regularly in an array of settings including orchestra, chamber and solo performances and maintains a dynamic teaching studio. Students of all ages learn to play the harp from her private studios in Carrboro & Cary, NC. 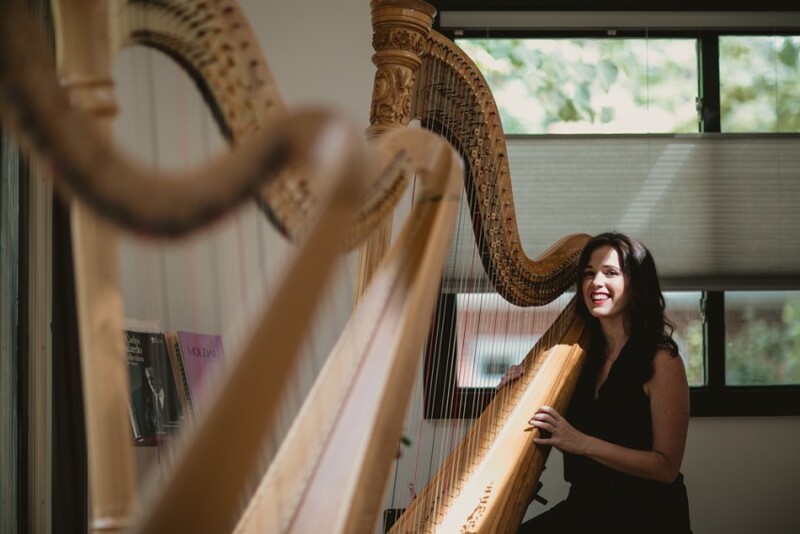 Through performances and teaching, Leigh hopes to continue grow the harp community with both amateur and professional players and avid listeners. Local harp duo, 'Leigh & Grace' made their debut concert March of 2015 on the Bach's Lunch N' Listen concert series in Newton, NC. This fall, the pair looks forward to presenting performances for Carol Woods and the Carrboro Music Festival. Leigh performs for weddings & special events regularly and began gigging over 15 years ago at age 14. As an orchestral harpist, Leigh subs frequently with the local orchestras and has appeared with the North Carolina Symphony, Durham Symphony Orchestra, Raleigh Civic Symphony, UNCG Orchestra and the Chapel Hill Philharmonia. She also plays the harp for the Triangle Youth Ballet's annual presentation of the Nutcracker. In North Carolina, Leigh was thrilled to join a 90 piece orchestra for" Zelda: Symphony of the Goddesses," an internationally traveling show that made an appearance at DPAC in Durham as well as playing with the Indie Rock Band, Lost in the Trees at Duke. 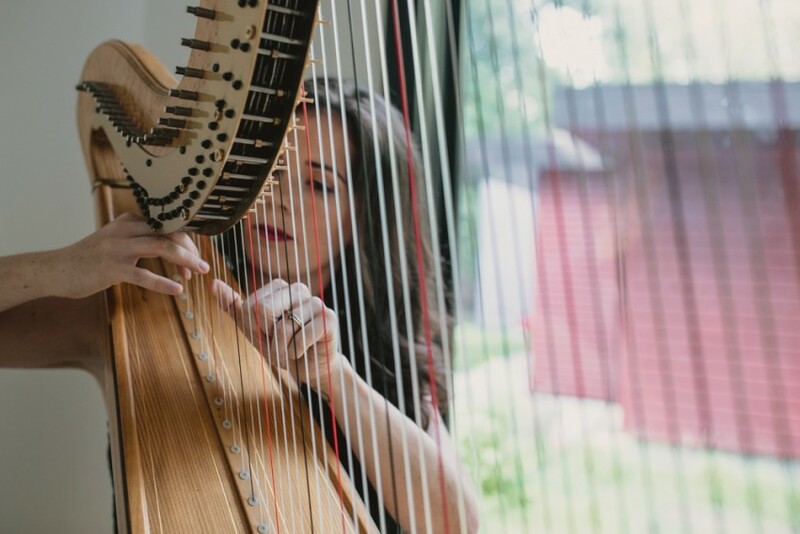 In the Seattle area, Leigh appeared as a performer at the American Harp Society Conference in Tacoma, WA and was pleased to play in the US Premiere of Valeri Kikta’s “The Light of the Silent Stars,” for chorus and six harps at Pacific Lutheran University. She also thoroughly enjoyed playing live on the air on Classic King FM in Seattle and of course traveling to New York City to play at the famed Carnegie Hall at the age of 18. Having grown up in the Seattle area playing the harp and earned a BA in music from Vassar College in New York. Leigh now lives in Carrboro with her husband, an avid audiophile and their dog, who loves to chase deer. In her free time, Leigh runs in the woods near her home and plays with her goofy dog, Sagan. Set list is tailored to fit each performance. Please visit my website for a complete listing of my repertoire. Leigh will provide her concert grand by Lyon and Healy, matching wooden stand, bench and music.